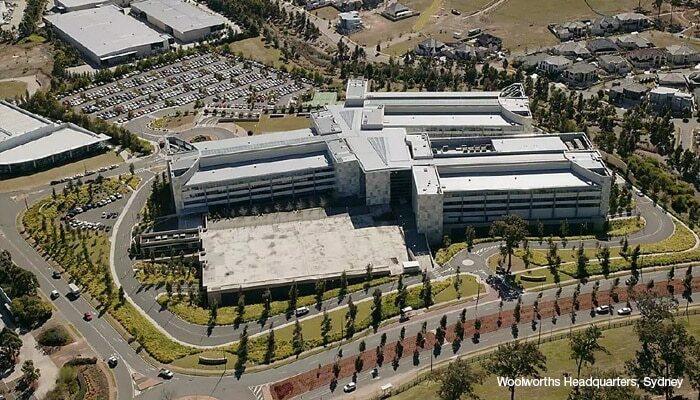 On any weekday, Woolworths’ headquarters in Bella Vista Sydney, grows in population to the size of a small township. As the central hub for almost 1000 stores throughout Australia, the sprawling complex is a hive of activity. 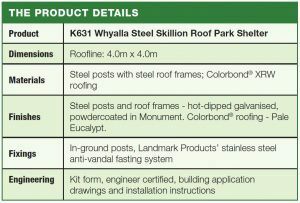 Like any township, people need open spaces to relax and recharge, and management of Woolworths Group approached Landmark Products to assist in building such spaces for their staff. 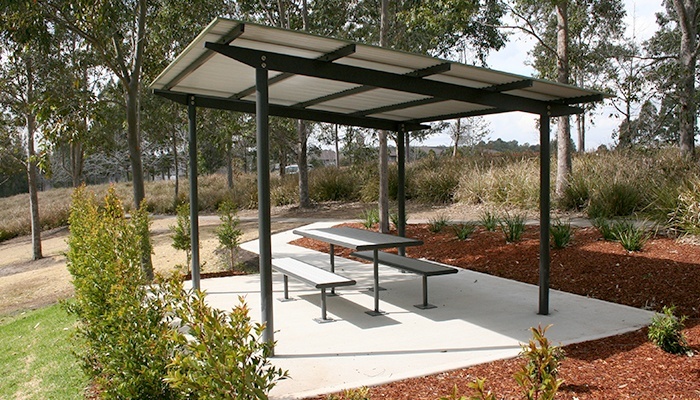 After offering the full “shopping list” of Landmark products, Woolworths settled on a total of seven shelters, of three different types, and a range of picnic settings and seats, which have been installed in surrounding parkland. 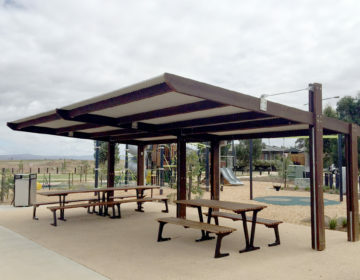 Woolworths opted for a sturdy approach, with five 4x4m steel skillion roof shelters (Whyalla Series) now installed throughout the complex, each with a Woodgrove Picnic Setting underneath, complete with anodized aluminium slats. 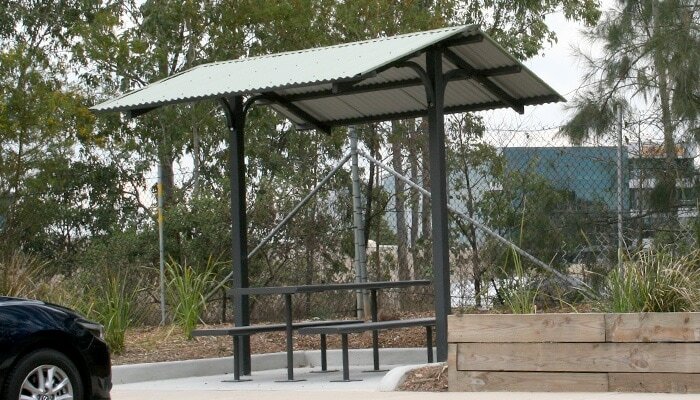 A larger 10.2 m x 5.6 m gable roof timber shelter (Mulgrave Series) will no doubt be used for outdoor functions to accommodate slightly more people. 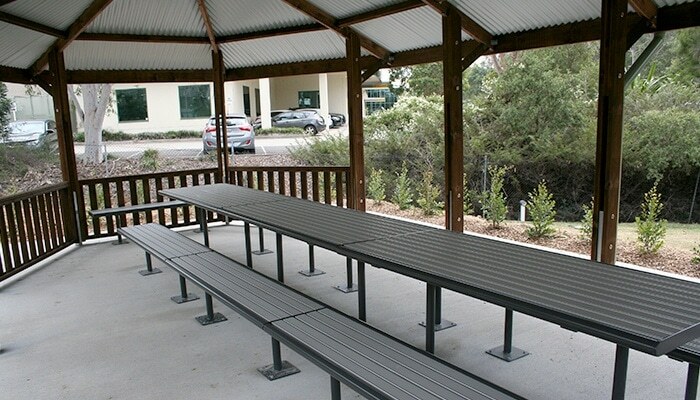 Three Woodgrove picnic settings are installed end-to-end underneath. 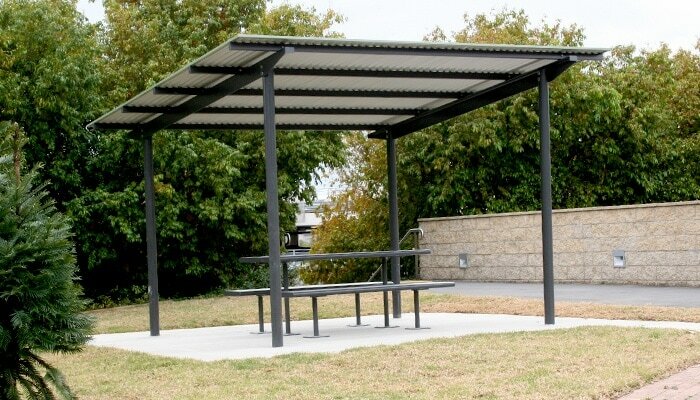 One 2.7m x 3.1m gable roofed shelter (Sherbrook series) was also supplied, also with a Woodgrove picnic setting installed below. 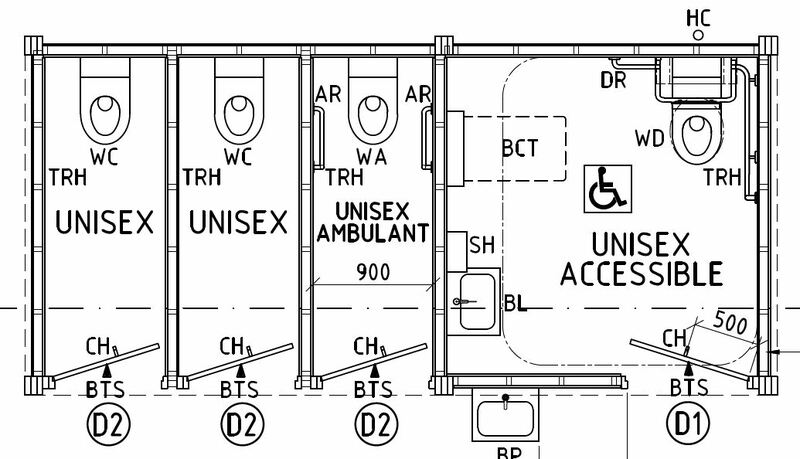 All shelters were delivered on site flat-packed, in kit-form, allowing for minimum disruption to this very busy area, and quick installation by others.